Six Milledgeville Instagrams to Follow! 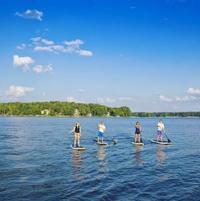 Looking to have a fun getaway to Milledgeville or wishing you were here? Check out these six local Instagrams sharing their love for Milly to experience what you&apos;re missing! Documenting the happenings of the first lady of Georgia is a tough job! 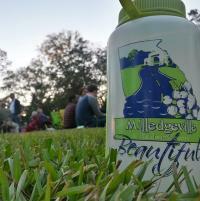 @milledgevillega, run by the Milledgeville CVB, features scenic shots, yummy food and fun happenings all over town! They feature photos from users using their #ilovemilly and also post a lot of original content. This Instagram is the place to look for all things Milledgeville! And who knows, you might even see your own shot on their page. Featuring a local Business of the Week, and also sharing shots of beautiful downtown, are just a couple things you will find on this fun Instagram! 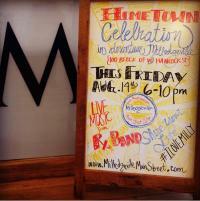 Milledgeville Main Street is in charge of putting on a fun monthly event called First Friday. Downtown is packed out with vendors, yummy food and local Milledgeville residents celebrating the thing they all share love for: Milledgeville! 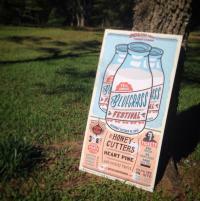 With Deep Roots quickly approaching, keep an eye out for fun band and vendor photos. Started by the local chapter of Keep America Beautiful, this Instagram is run by Keep Milledgeville-Baldwin Beautiful. KMBB is an organization working to increase volunteer initiative in the community and encourages residents to help Milledgeville stay beautiful! With monthly trash clean-ups and weekly maintenance of the Greenway and other local parks, KMBB posts pretty shots of the scenery around Milledgeville. 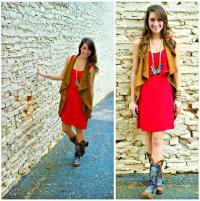 Get your Milledgeville fashion on! Jack and Milly, a local men and womens boutique in downtown Milledgeville, boasts thousands of followers (for obvious reasons)! With models posing at well-known downtown spots, you will be asking them to save you a few of these cute clothes! The models are Georgia College students who also work at the store and it is obvious they love what they do! Sharing student photos, as well as posting original content, the Georgia College Instagram is great snapshot into daily college life. Featuring photos from classrooms, local hangout spots and the infamous Front Campus, this Instagram has it all if you are looking to be a Bobcat. 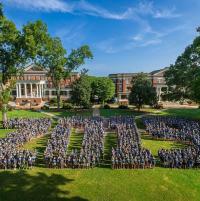 Plus, if you use their #georgiacollege, you might even see your photo featured on it! Famous for its ties to Flannery O Connor, this beautiful spot is a hidden gem. Before you take a tour of the scenic grounds, make sure to take out some of their gorgeous snapshots! Filled with daisies, peacocks and Flanney fans, this Instagram is one of Milledgevilles best kept secrets, just like Andalusia Farm! Share with us your favorite Instagram accounts that share our Milledgeville love!